A dramatic rollover hit-and-run was caught on video in Manatee County on Thursday morning. 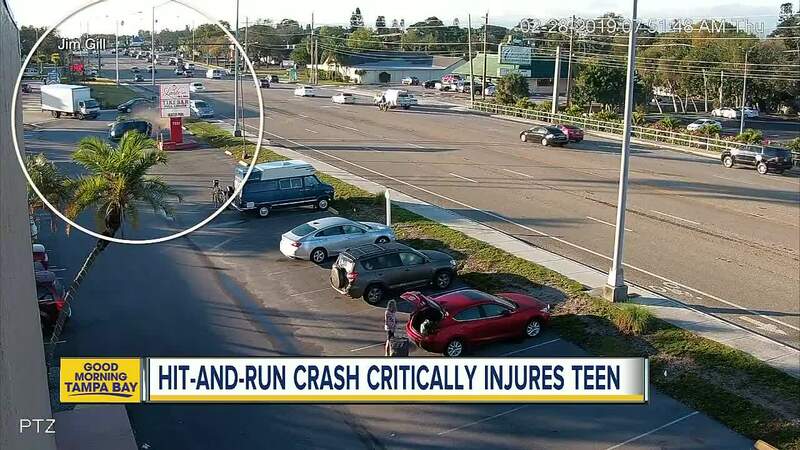 MANATEE COUNTY, Fla. — A dramatic rollover hit-and-run was caught on video in Manatee County on Thursday morning. 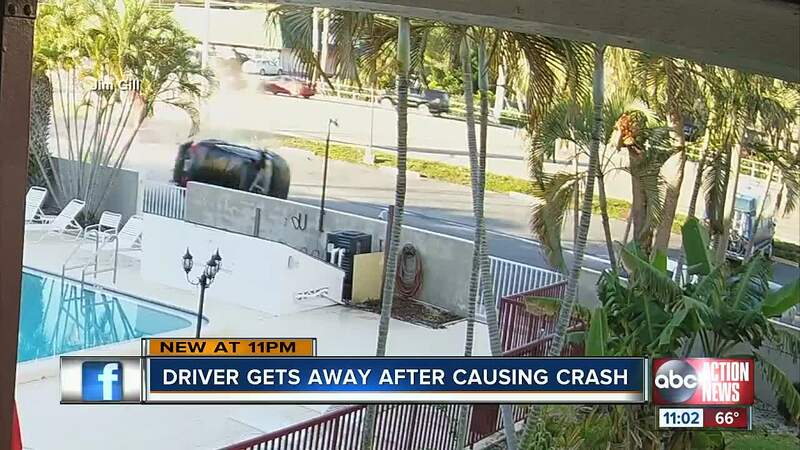 It happened at about 7:45 a.m. at US-41 and 14th St. W. in Sarasota. "People were hollering call 9-1-1 and it was just a bit of chaos at first," said Kathy Brown, a hotel guest. A Kia Sorrento van was turning left across traffic into a gas station and collided with an Audi A3 that was traveling NB on US-41. The front of the van hit the left rear of the Audi, sending it flipping across the parking lot of the Lantern Inn & Suites. "So bad, I didn't know what to do until somebody came with an ambulance, only thing we had to wait on. He was bruised up pretty bad," said Donald Fuchs. The Audi crashed into a concrete wall and a parked vehicle, which was then pushed into another parked vehicle, before the Audi ultimately came to a rest on its roof in the parking lot of the inn. The driver of that Audi, 19-year-old Jackson Maxwell Kelley, is in critical condition. The van, described as a 2003 Kia Sorrento with right front damage, left the scene. Florida Highway Patrol has since found the van, but not the driver. "It's unforgivable, no matter what even if there is nothing you can do, you need to stop and see if you can do something," said Brown. 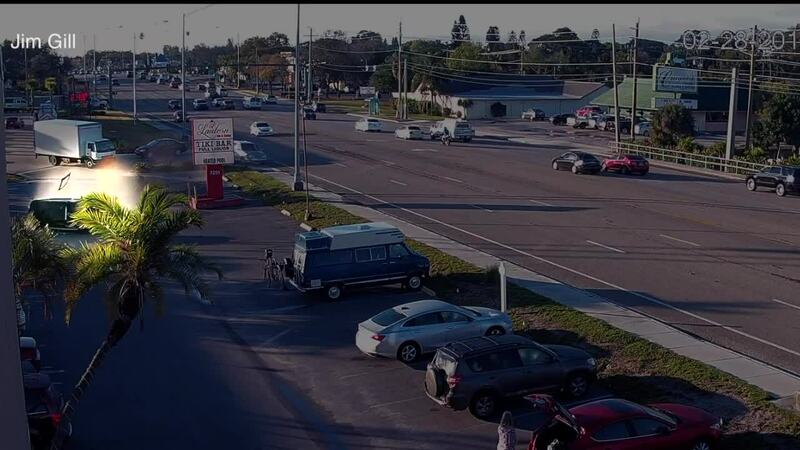 Anyone with information about that van or its driver is asked to contact FHP at (941) 751-8530 or Crime Stoppers.